I am often amused when someone asks our opinion on the “licensability” of their work, and then insists on arguing about the answer because it wasn’t what they wanted to hear. Not that we are the infallible oracles by any stretch, but I do think we have learned a couple of things over the years, and hey – you asked… It turns unfortunate, however, when the same person comes back again a year later, with the exact same art, asking “how about now?” Or seeing the posts, month after month, from someone hoping to break into licensing by offering the same (apparently rejected) style of designs. Sorry, but the answer from the market is still the same. Time does not force the square peg into the round hole. I get it that people feel they are following their dream, pursuing their passion or just looking for another path, but that doesn’t mean they are always on the right one. The path will always have zigs and zags, forks and dead ends. That is just how it works. Of course that is not news to anyone, but even people who acknowledge that fact get caught up in thinking that art is exempt, that somehow the investment of time, personality and passion means the world will just need to accept it as they created it. That’s fine for work hanging in the galleries, but in our biz… not so much. One of the most difficult aspects of product development is learning that, when something is not going to work, it’s time to put it aside and move on. It’s a skill that all successful creatives have mastered. Every journalist has reams of rejected articles, musicians have books of bad songs, Broadway shows close quickly, movies tank, painters have stacks of half finished canvases – it happens everywhere someone creates. Economics has a concept called “sunk costs”, meaning that the investment – time, money, passion, take your pick – has been made and cannot be recovered. It’s not human nature to just walk away from those, but sometimes that’s the best way forward. Learning to accept that not everything works is a big step toward making things that do. Whew – just made it out of Chicago before the real slipping and sliding started. We had spent the last 3 days there attending the International Home and Housewares Show and flew out as the blizzard moved in behind us. Hugged a palm tree when we got back. 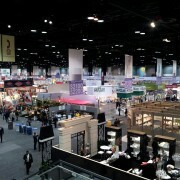 The IHHS is a mammoth once a year event held in the beautiful McCormick Place on Lake Michigan. If you have never been there, it is the largest convention center in North America with 2.6 million square feet of exhibit hall in four buildings, and this show fills three of them (North, South and Lakeside). Soaring 50 foot ceilings, sweeping curves, fountains, even decent food options – it is by far my favorite show venue. 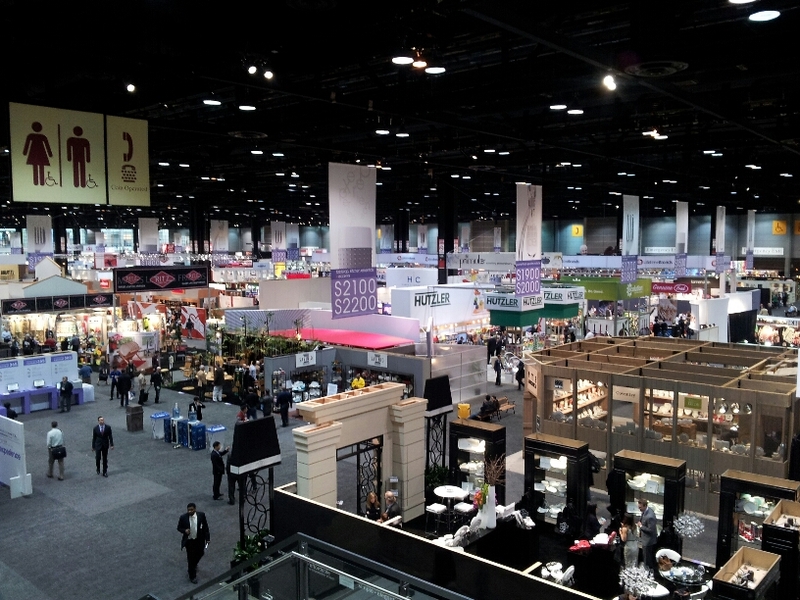 And the IHHS with over 2100 exhibitors is a pretty impressive show too. This is a shot of one quarter of the South building from an elevated restaurant in the middle – just a fraction of the total show. The Housewares Show is a little different from most others in that it’s a bit more formal – we have always said it’s a “suit” show. Literally. The place is awash with men in dark suits because that’s still largely the nature of the home and housewares business. Casual is the exception. The exhibitors cover an amazingly wide variety of categories, from the expected tabletop, cookware and kitchen accessories to appliances, cleaning products, storage, food vendors, pet products and much more. 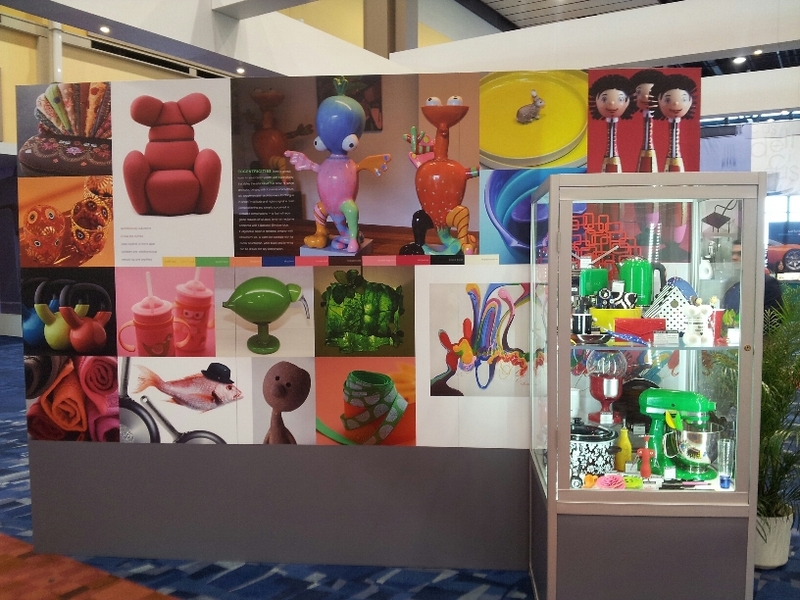 This show is also THE place to see new innovative products and beautiful industrial design. It’s everywhere, but I’m tellin’ ya nothing energizes your creativity like a walk through the High Design section, the ergonomic OXO displays, or especially the Inventor’s Corner. The show is a hotbed of smart innovation and it’s contagious – we find ourselves stopping constantly to discuss and make notes about “what if” ideas as we walk the aisles. A host of the “As Seen On TV” type companies are hawking their latest crop of “miracle” products – some of which are actually quite clever and useful. 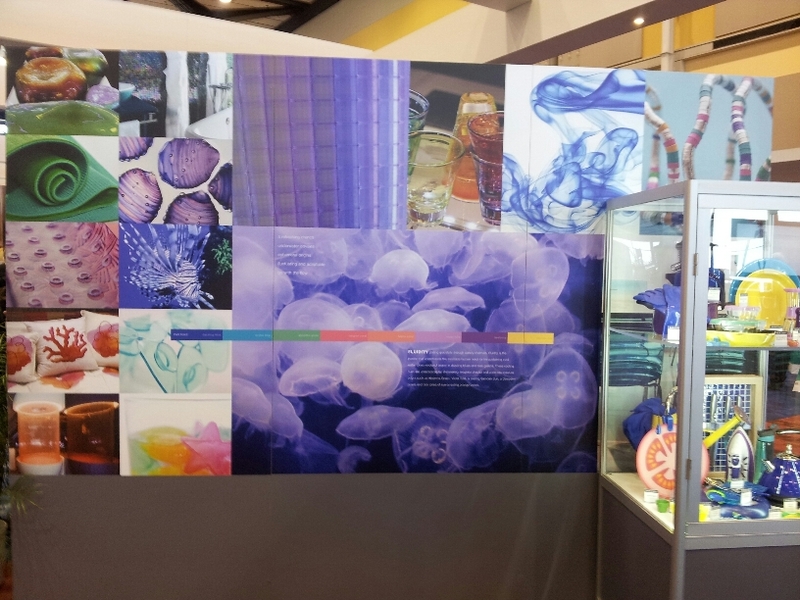 There is even an area called the “Hall of Global Innovation” displaying the IHA Innovation Award projects, some winning design student projects, a Going Green area and the Pantone Color Watch exhibit with 9 large panels of color and inspiration matched up to actual products found on the show floor. Licensing is a big part of the home and housewares business. Most of the time the licensor/licensee matchup makes sense, but once in a while you just shake your head and wonder “who thought THAT was a good idea?” Art, product design, celebrity, entertainment and brands all find their way into and onto products. Most artists in licensing tend to limit their thinking to the “onto” part of that equation, but it can be a lot bigger than that. There is unlimited licensing opportunity for someone who can not just make something LOOK better but can make it WORK better. A new shape, a better widget, a new twist on an old concept… artists are uniquely well suited to master these creative tasks, and you can teach and train yourself to get better at it. Work on your product development skills, beef up your creative chops, become good at seeing what others don’t and you can write your own ticket in the business.